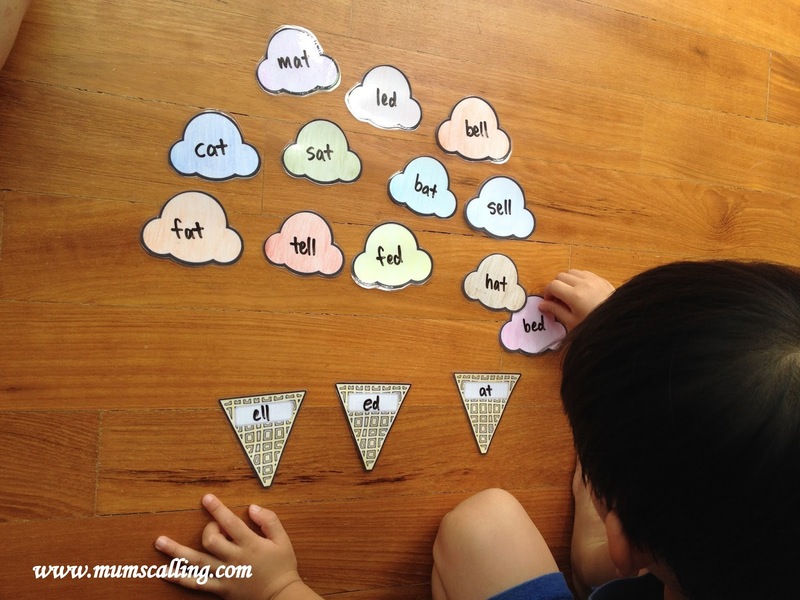 What would be your ways of enhancing a child's vocabulary? Building their dictionary can be done in various ways, through reading or reading to your child, through conversations, songs, show and tell or through educational TV shows. Vocabulary is more than a list of words. It's one essential thing to know a new word, but another matter when it comes to knowing how to use it. As parents, you would have realised our child's size of vocab is very much directly related to our parental practices. 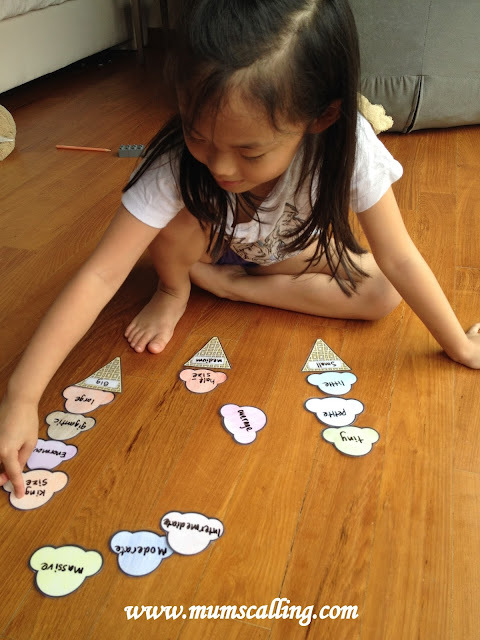 Children in the advantage families would probably learn and know more words than the less advantage. I'm must confess, we are not a family who uses elaborated or fanciful words at home, but we make use of every opportunity to teach new knowledge. Learning is also in my almost daily journey. I did rhyming words with Jare too. These dessert cards are of multiple usage, I'm considering Chinese characters too. 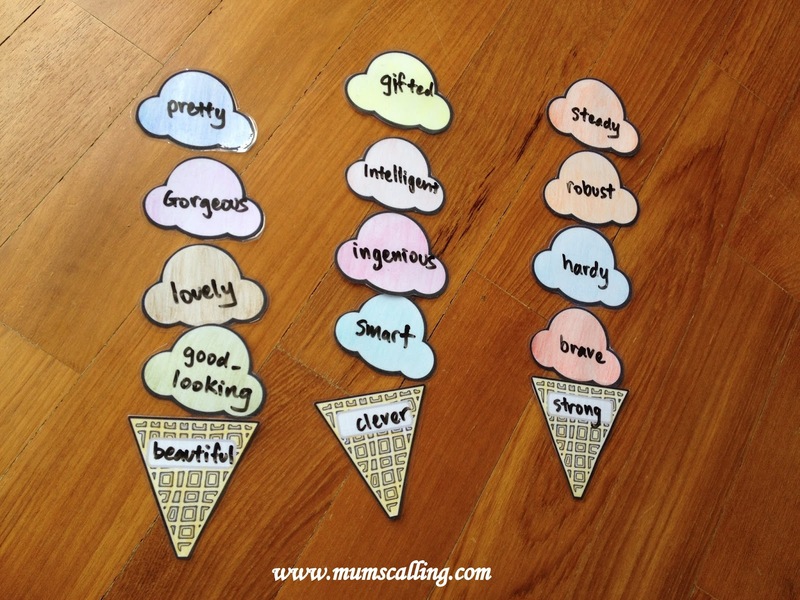 Thanks to the availability of wide learning resources, I copied ideas from homeschool@sg and found some printable at kaylee's education studio. 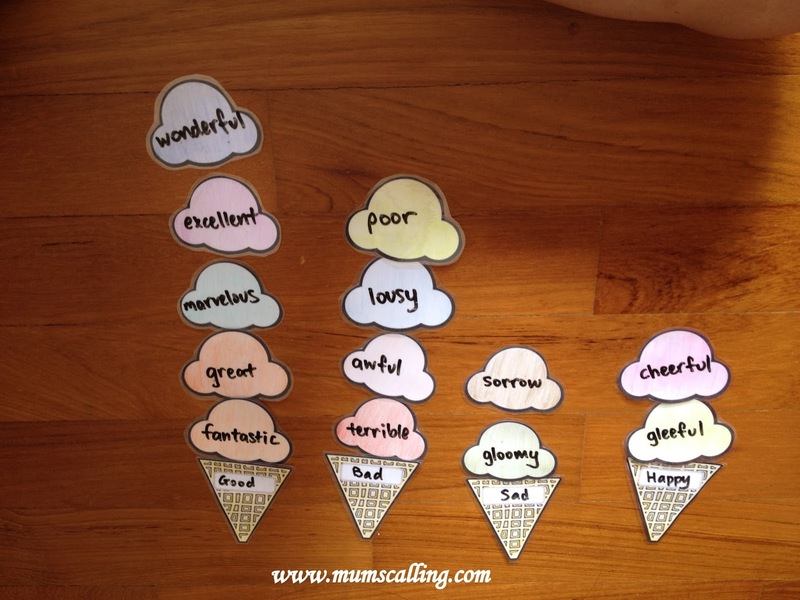 Colour, cut and laminate the ice cream. Write and re-use! 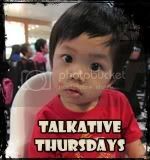 Am targeting to do this about twice or thrice a week, giving us spaced out time to learn and practice new words. 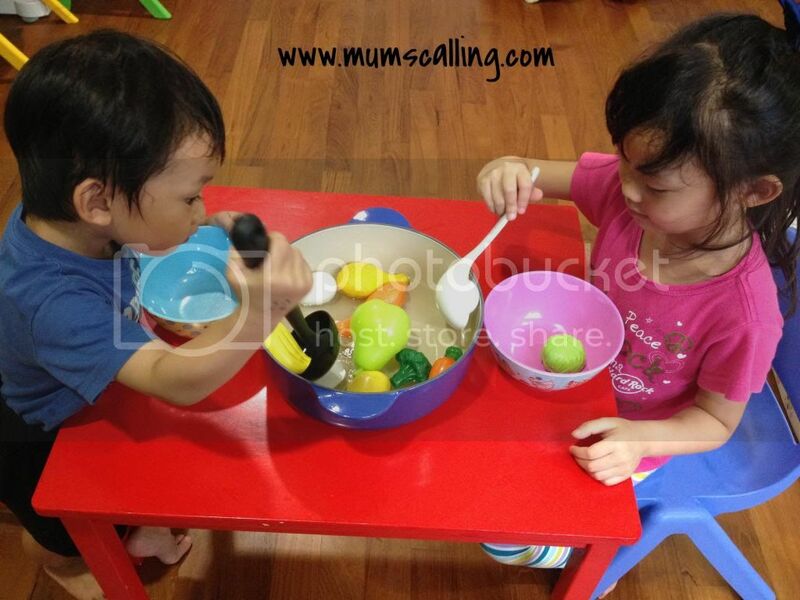 Learning sure got more flavourful and cooler this way, just that they can't lick it off the cones. It's always wonderful to get some thrift out of free fun. 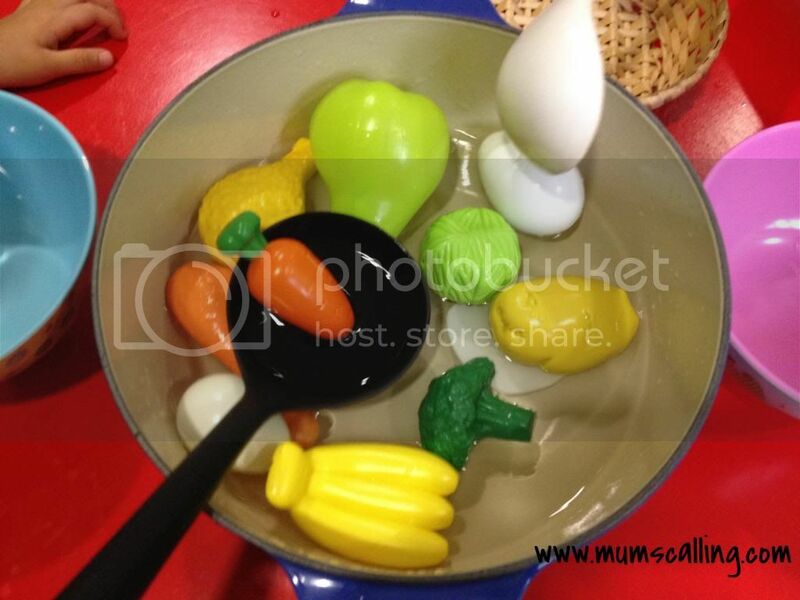 Having had some waterplay fun at Gardens by the bay, we recently discovered a rooftop waterplay area at Tampines 1 over a playdate with Mummies E and Dotz. Ok, I know it's been there for a while, but we only had a chance to visit it last Friday. A spacious area, with small little sections, for different play. 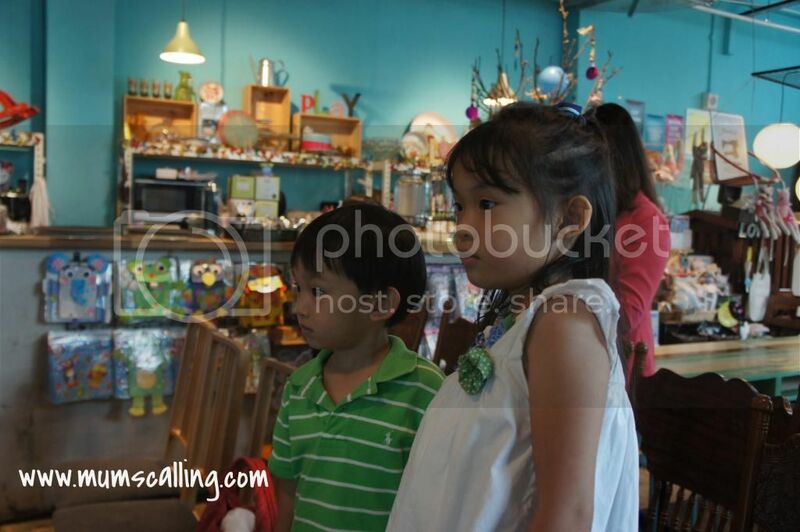 It was wildlife-themed, allowing kids to have fun while learning more about wildlife conservation. Little residents nearby are sure in for a treat. Being there near the hottest time of the day, 11.30am We were almost burnt. The dry floor area was really hot for the barefooted, but the wet area was cool for fun. A pity that the icy polar bear slide and ice bergs didn't help relieve the heat mentally. It was some good opportunity for vitamin D though. The place was clean and new. I could smell chlorine in the water, which probably meant it's regularly maintained. Shower area is enclosed, giving the little people of all ages some privacy. weekday play seemed fine. It might be a little crowded on weekends. It did trigger Js with some excitement, but fun meter went down after 20 minutes of play, before they decided to call it quits. It was then, I realised they have outgrown those shorty slide fun and seemingly impressive water sprouts. Maybe not so much for Jare, just that he's quite a follower when it comes to play. They had a great time, nonetheless. I knew because they both zonked out, on our way home. The playground is open from 10am to 9.30pm daily (except Mondays 4pm to 9.30pm) and it is FREE admission. Like any other days, we would stroll home after getting Jazz from school. There's always a two way traffic road that we have to cross to get home. At the pavement, I would grab those little hands, struggle to balance an umbrella in midst and look out for the safest moment to get across. Traffic lights are planted at two very far ends of the street, which I decided they're more for vehicles than pedestrians. I wasn't jaywalking. One of the days, while I firmly held those hands to get across. Jazz crossed over at her very snail pace, eyes engrossed on some stuff she got from school and fiddling it with the other free hand. We were dragged slow by her eventually. I got worried and said, "Come on, Jazz, we are crossing the road, don't take your own sweet time." When we got onto the safe zone, she got upset and went, "Why can't I take my own sweet time? When can I take my own sweet time? Why do I always have to rush?" Woah, Darling daughter, that's alot of questions and in one breath. I know about being gracious by not hurrying our kids too often. And being home bounded most times, our schedule is rather flexible. I'll try not to hurry the kids. If I need a rush, we'll talk about the actions to focus on and consequences of being late. I'll go for alternatives like, "Time is running out on us" "Bring your breakfast into the car" "Class is starting" "We shouldn't let our friends wait too long" or "If you take too long, Daddy will be late for work too." We have situations to look out for, and if we didn't talk about time at this tender age, taking their own sweet time will probably become a dominant habit. Realised how lateness is a grown habit? The world doesn't wait on us. There's a time and place for everything. Time waits no men and lesson starts promptly in school. It's true you can't have your breakfast all day long, you can't take forever to put on your clothes and shoes or not pack your bag till the last minute. I need to remind you that time is ticking away, till the day you manage time well. On my response to Jazz question that day, I gazed at her and said, "I gave you plenty of time to play when we are home or out, but there's always a time to end everything. We were crossing the road, we can't take too long to get across. Cars zoom fast and we need to think of our safety. We need to hurry across." I evaluated. As much as I would love the kids to lullaby through childhood, we need to set priorities right. It's almost impossible not to rush our child, and realistically, I know there are such days. When we have more time, sure! Go ahead and play with that mimosa you always stop by to touch, while I patiently wait till you're ready to go. Go ahead and chase that pigeon, while I watch and capture your joy. Go ahead and negotiate for more time, if we are not in a rush. We need to get the value of time right, as young as possible, when reasoning begins. Rushing the kids too often can strike me with guilt. I've learnt that it should not be a habit instilled in me, but executed appropriately on situations. I've learnt to allocate more time for my little slow people on certain activities. A matter of fact in our rat race society, rushing is not a total ignorance for our little citizens too. Js are ever mesmerised and creative with bubbles! Though bubbles are short lived, their journey can be beautifully exciting. Have you heard of the upcoming Bubble Magic show? We are excited that it is coming to town, and performing for the first time in Singapore at the Raffles Hotel, from 10th to 14th September 2014. Definitely one that Js are looking forward to. Me too! Designed to stimulate the imagination, the show manipulates the daily elements of reality: the use of water, soap, tubes, circles and smoke machines. This brand new show is the fruit of years of experimentation using the language of soap bubbles. It's sure some heavy training behind the scene, for this spectacular show. Bubble Magic is a show from the producers at Lunchbox Theatrical Productions who have brought to Singapore some of the best shows around the world. Direct from a Europe-wide tour, the joyful two-man show combines the fleeting beauty of bubbles with clowning, ingenious lighting, colourful music and crazy costumes. The two turn everyday elements into a magical, wonder-filled world. Simply sophisticated, I would say. The show has been created and directed by the master of bubbles, Pep Bou. The Spanish-born artiste has been playing with bubbles for more than three decades, an adventure that has taken him onto the stages of theatres and festivals around the world, delighting audiences of all ages and cultures. He has been honoured with an array of prestigious awards. I'm very much looking forward for this great treat. I do hope it will be an awesome show. If this stirred you up a little, get into the act of getting your tickets from sistic today! And of course, you shouldn't leave Mum's Calling without joining our giveaway! The kind people from Lunchbox are giving a pair of Bubble magic tickets to one lucky reader of Mum's Calling. Giveaway tickets will be for the following date: 10 Sep 2014 (Wednesday), 1pm 3.30pm (change of time by sponsor). Simply follow the simple steps in rafflescopter widget below. Contest ends Monday, 01 September 2014, 2359hrs. Initial winner was unable to make it and has given up her chance to other participants. Re-drawn winner as published. Jazz could be love-struck (think Boy/Girl Relationship), but all clueless when I asked her to define love. I've recently started her on a 4 hour kinddy, which gives her good exposure to some learning out of home, as well as some social interactions with her classmates. 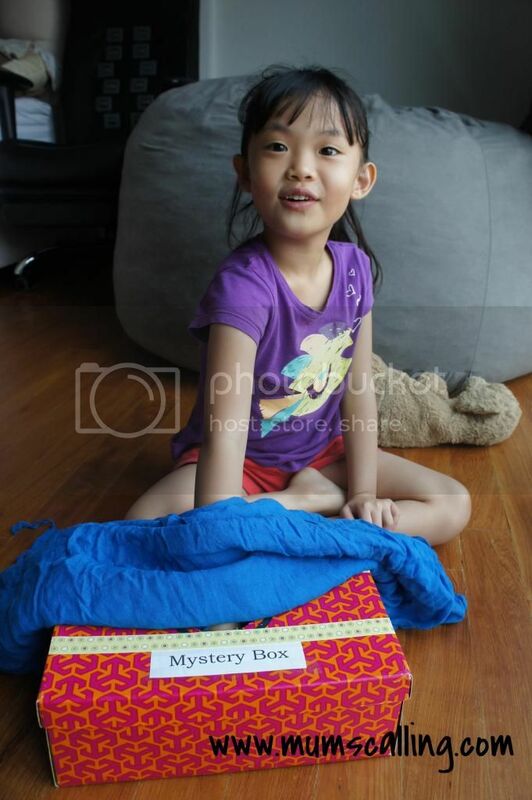 It's always engaging when she shares about her activities in school, as well as her friends. I'm glad that she's enjoying school and her companions. 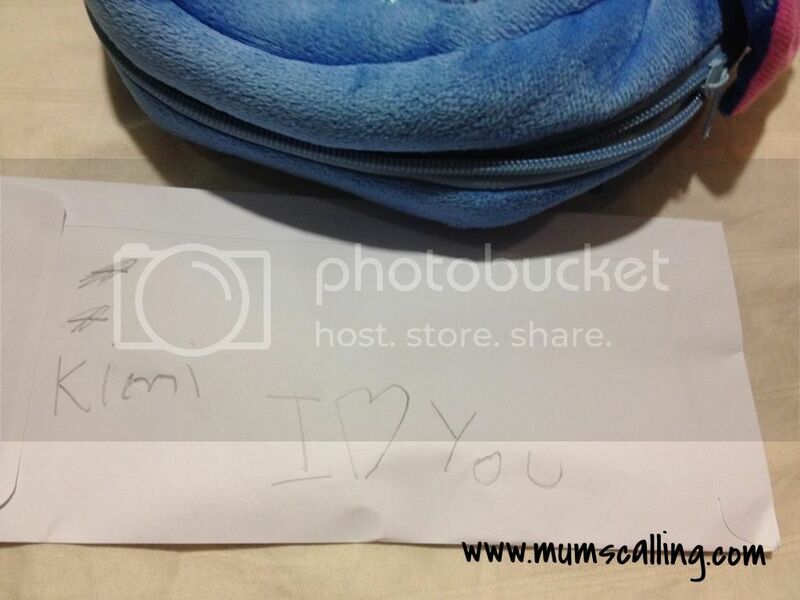 Last night, when I was routinely going through her school's backpack, I found a love note! Not one from her friend, but one she sealed for her friend. A boy. Is she having a crush on someone?!! I vaguely remembered she asked for an envelop, which she would like to gift something to her friend. Nice gesture I thought. After all, we did letters to their Grandparents when we were in the states. Nothing unusual. Not till I see this! If you just hopped onto my blog, welcome! My girl is still adorably at Five. I had two choices to make last night, ignore the letter, after all, I knew it was nothing to be alarmed about. Or we could discuss about love. I decided on the latter. I meant, what would the receiver's parents think about this love note? Cute I know. We did a brief chat over breakfast this morning, when she is usually more chirpy before school. I asked her, "What is love?" She was amused, "I don't know." She must have thought, what was Mama trying to ask, out of the blue. I didn't want to give much stress on this topic too, which might trigger her to wonder why there's so much hype about it, when she thinks it's a nice gesture. I knew that love note was harmless. Not that they will go on movie or dinner dates, but maybe, not a good choice of words written... not yet. I offered alternative words like, "Thanks for being my friend" or "You've been a great friend." I know little ones like to model after the grown ups' behaviour, I see myself in her when she mimics my act of applying mascara or slip in the heels I walk on. "Not time yet, darling." And when I get my dose of TV dramas, as strict as I can, none of the kids get to share that same screen as me (No wild kissy scenes for those little eyes). And before thoughts get wild, it's decent romance drama I'm watching. It's not forever that I can do this, but it just doesn't seem appropriate yet. Then I told her about my love story. I fell in love at 18, and being sure Daddy was the man who will give me life like a bed of roses, we got married at 24. Ah ah, princesses in Disney too, they fell in love at a grown up age, and were pretty sure who the good man was. That's when we can use, "I love you" out of the family molecule, to an individual being. I hope she comprehended. "If we love our friends, we walk the talk, do the good acts to show we appreciate friendships. 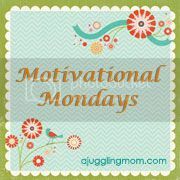 Maybe you can help your friend get his water bottle during snack time, or maybe comfort a friend who's upset. Don't you think it speaks more than saying, I love you?" I said. She knew where I was coming from, and threw in more examples of good acts. Breakfast wasn't too long, but it got my mind across and she's probably still digesting those chunks of words. Oh well, I don't mean to get into the heavy duty stuff, but gauging from the way she spreads love, and for the benefit of not sending chills down her classmates parents' spine, we should talk about love. Affirmly, "I love you, Jazz"
PS: The letter was gone when I got her from school! Argh!!! 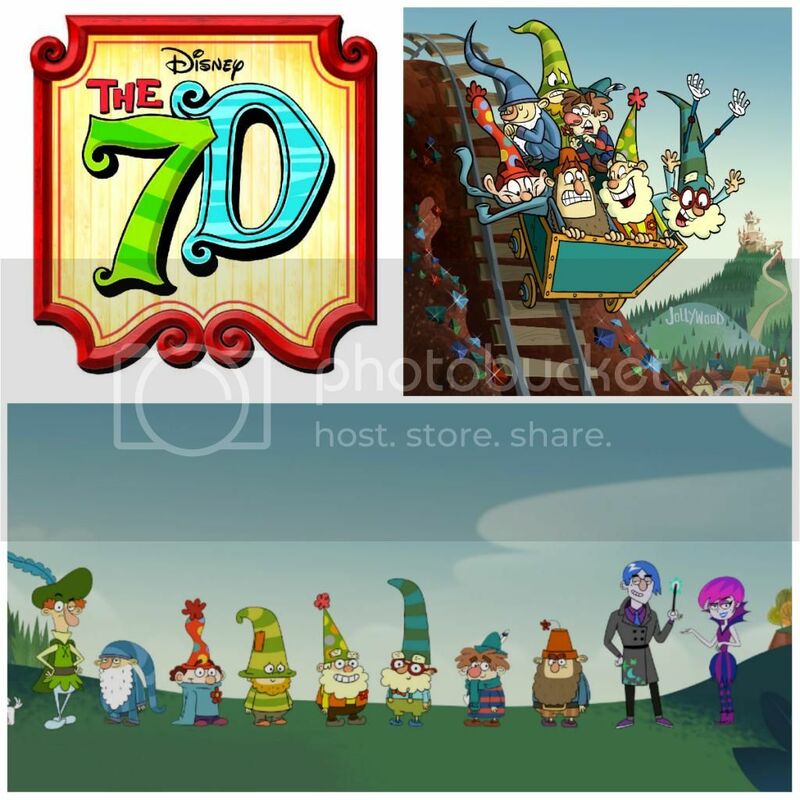 Hey peeps, hold your breath for a brand new Disney channel original animation series "The 7D!" Premiering on 07 September (Sunday), 11am on Disney channel (Starhub Ch 312/ SingTel mio TV Ch234). This brand new series takes place in the whimsical world of Jollywood, where Queen Delightful relies on the 7D - Happy, Bashful, Sleepy, Sneezy, Dopey, Grumpy and Doc (Think snow white and the 7 dwarfs) - to keep the kingdom in order. Standing in their way are two laughably evil villains, Grim and Hildy Gloom, who plot to take overtake kingdom by stealing the magical jewels in the 7D's mine. With seven very distinct personalities, the 7D always manage to save the day and send Grim and Hildy running back to their evil lair. We were at its preview, and Js had all eyes fixed on the screen. Thanks for having us, Disney! Over communal meals, Js would pick their portions from the dishes to their bowls. During this process, there would always be dripping gravy and soup along the route to their bowls. I decided, we must practice! The little chefs got to work with whatever ingredients found in their pantry. They stirred up a pot of hot cold soup. 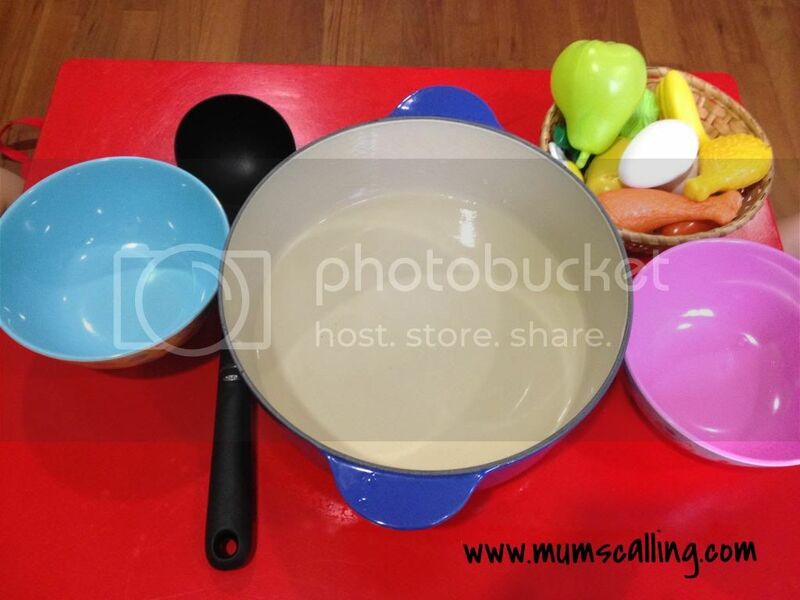 When the soup was ready, they used a ladle to scoop the ingredients into their bowl without creating mess. No drips and no fallen food. We then increase the distance for different challenges. Ah ha... they did it! I hope this little exercise gets them into eating a little more neatly over meals. Mid autumn falls on 08 September this year. A festival that I would eagerly look forward to every year, for lanterns, culture and the best of all, mooncakes! Which should never be a miss. Things change, times changed, you change, I change, mooncakes change! It has evolved much from the traditional to the contemporary. 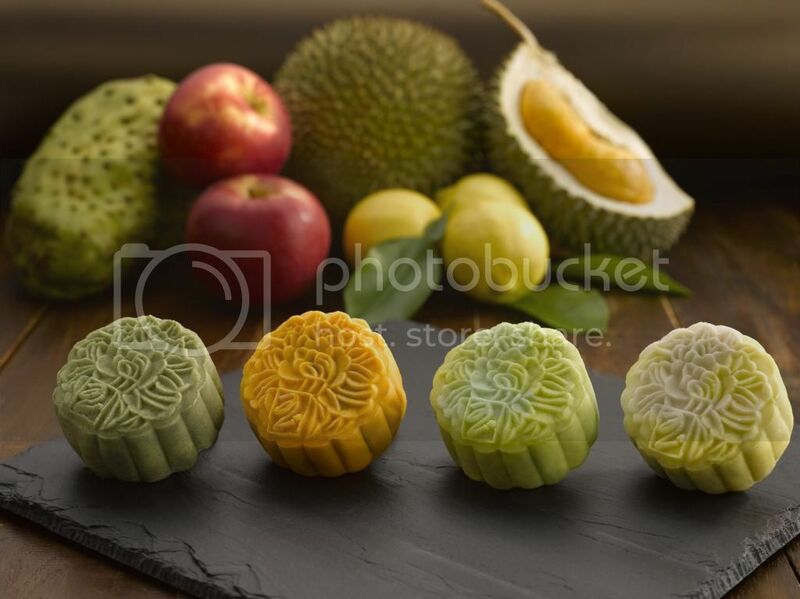 I'm ever impressed with new mooncake designs and flavours that are showcasing each year. As always, decisions and choices. 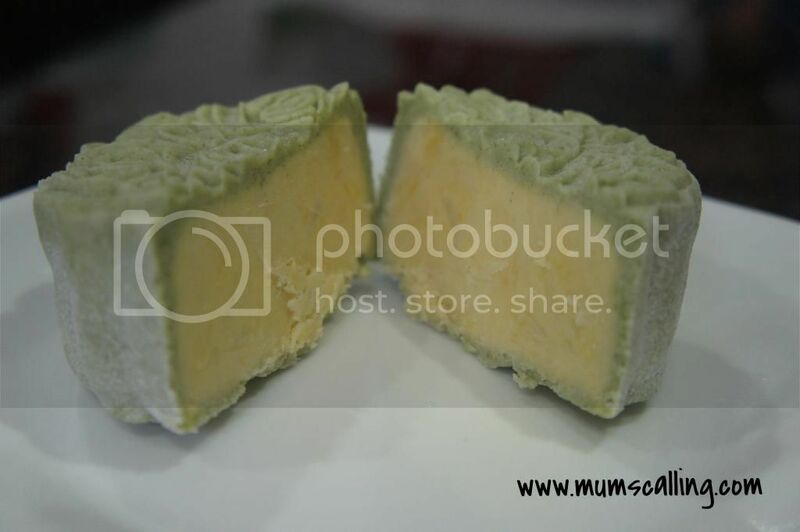 Not sure if you've got your eyes or mind set on any mooncakes, but for years, we've been really impressed and convinced with Peony Jade's orh ni (yam paste) mooncakes. I've eaten at their restaurant, and I trust their creations! Yes, I'm a Teochew. Not eloquently one though. So why Peony? Of all their moony creations that ever received great praises and awards by the media, the idols are their signature 'light-as-air' flaky skin orh ni baked mooncakes and Mao Shan Wang durain, organic snowskin. I'm always assured that their choice of ingredients, from freshness to quality are never compromised. Making a purchase worth its every cent. Quoting script from a drama serial I'm currently couching on, 饼皮薄，人情厚。 I use it to reference the skin of a mooncake being thin, with the filling thick and rich. Just like how relationships should be filled with humanity. Ahh, some wise revelation on quality mooncake. I've been generously given the baked and snowskin to savour. Which worked well to my liking and I literally fell in love with All of them. Although I've to say the snowskin, yuzu and cream cheese wasn't much to my liking, but it was a hit among the rest of my family. An acquired taste I guess. My Dad who is an extreme food critic even gave thumbs up for these! Definitely worth those calories. The fruity snowskin is best eaten frozen, like ice cream. We did a slight thawing to make cutting up easy. Js preferred the traditional baked skin, which I thought they would be more mesmerised by the snowskin colours and fruits, but not. Perhaps, they aren't familiar with those exotic fruits. Only durian as an exception, as it's their love. Consider them as great gifts too! I love their elegantly designed boxes. It's simple and non extravagant. 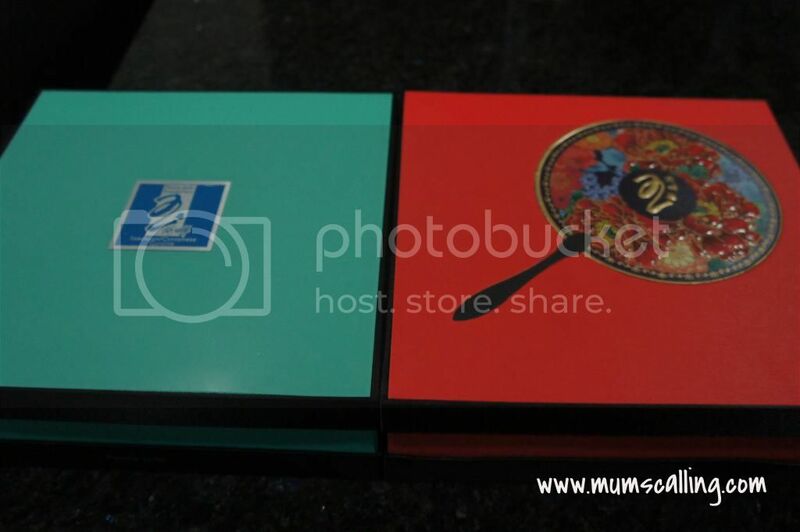 That oriental fan on the red box used to package the traditional mooncakes, stays true to a time-honoured Chinese tradition. Definitely a great gift of taste! 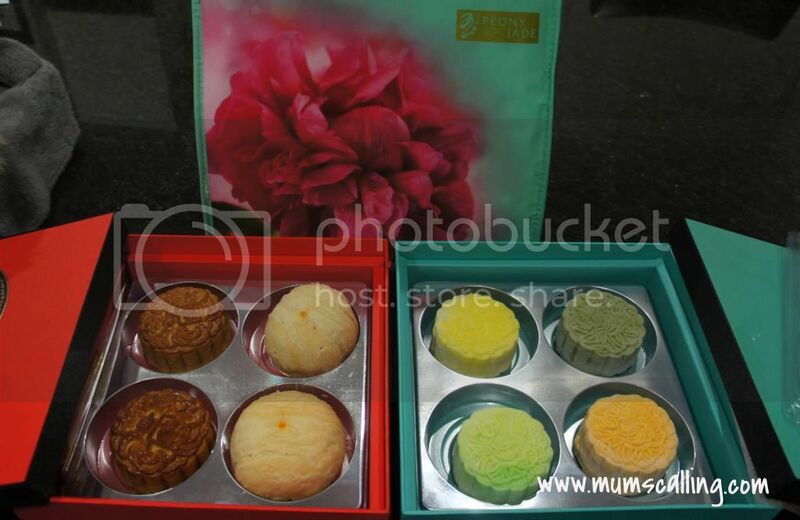 I'm blessed for this early opportunity to share lovely mooncakes with my family. Thank you Peony and Joy from 37 Communications! Trust me, they are really awesome! And don't forget some good Chinese tea to go with the baked ones. They make very good partners. You may also pre-order online for collection at Vivocity. 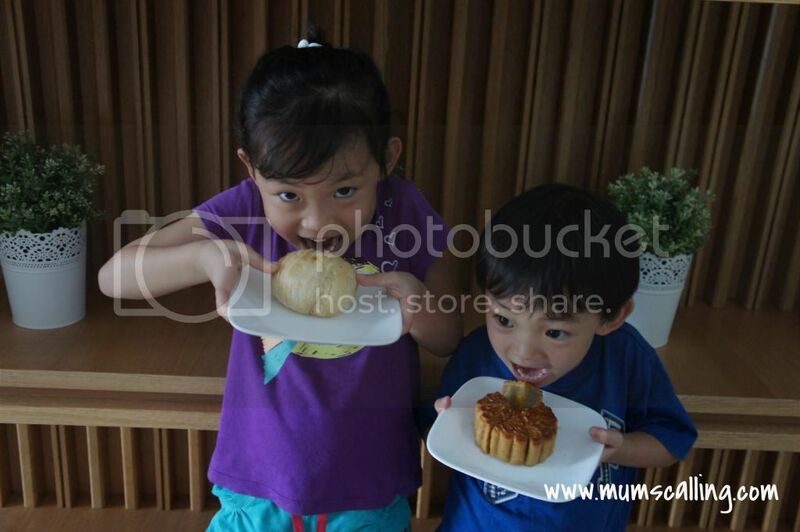 Disclaimer: We were given 2 boxes of mooncakes to savour. All opinions and photos, unless credited, are solely ours. You know Mummies, you deserve that occasional divine treatment, Massage! 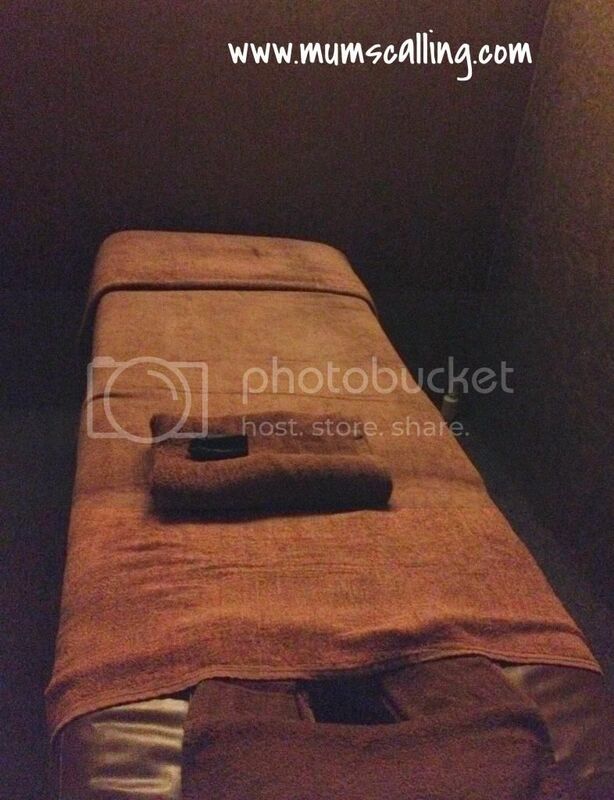 I was recently invited to review a massage session by Huang Ah Ma, The oriental spa chamber. Before plunging into committing a session, I browsed through their website and fell in love with the unique oriental theme it uses to set apart from other spa chambers. I got all curious about checking out their service and venue. 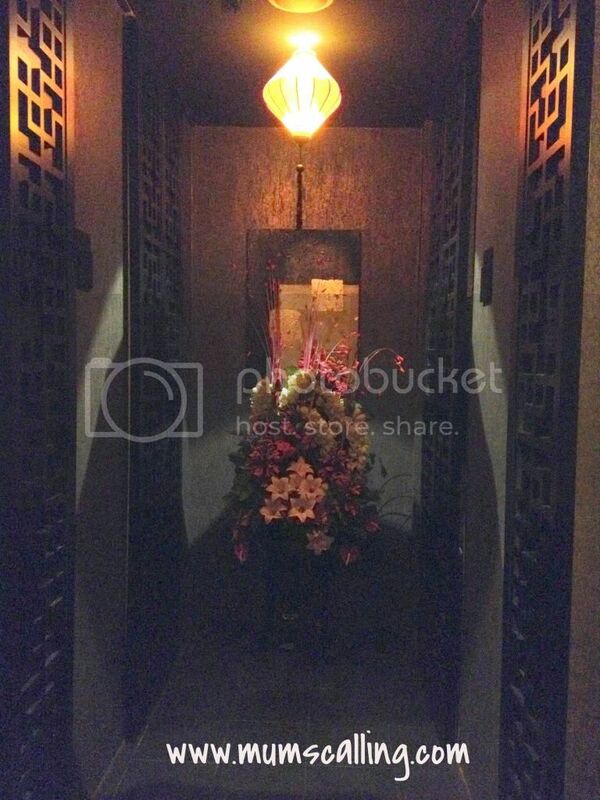 Upon stepping into the place on my appointed date and time, I was soothed at how beautifully the place was embellished to the ancient and oriental theme. I felt a tinge of relaxation. An aromatic tea was served before I got ushered to my chamber. As oriental as it sounds, I was offered a session of chopsticks massage. Weird I thought, but maybe it's just a name. But no, the masseur came in with a couple of wooden chopsticks bundled together, massaged on some oil and started beating my shoulders. Gosh! What a kitchen defying act. I've always been told since young, not to play with chopsticks. After that session, it seemed like we can try this at home, out of the kids' sight though. The tapping was only the initial moment for each part of the body. After which she used it as a kneading tool (rolling up and down) and for pressing on pressure points. These are not only tension relieving, it circulates the blood flow too. I was all strangely at ease after the initial moments, then I sank into deep mode of relaxation. Not too bad, I thought. I walked out incredibly refreshed! What a treat. And of course if you are still not convinced about chopsticks being a tool for massage, you may check out their other range of massage and facial services, that you are feel comfortably at ease about. Another point that struck me about them was that it opens from 11am to 3am (Nothing sleazy about it)! I had my slot right after I ended my Motherly duties of the day. Sent the kids to bed, and head off for my massage. An ultimate reward it was. And nope, I wasn't further introduced to their packages or any sign ups. I detest hard sellers. And so, it was an overall pleasing experience for me. Disclaimer: I was invited to a review session. No monetary compensation was involved. All opinions and photos are solely mine. Have you heard of a pop-up selfie studio? 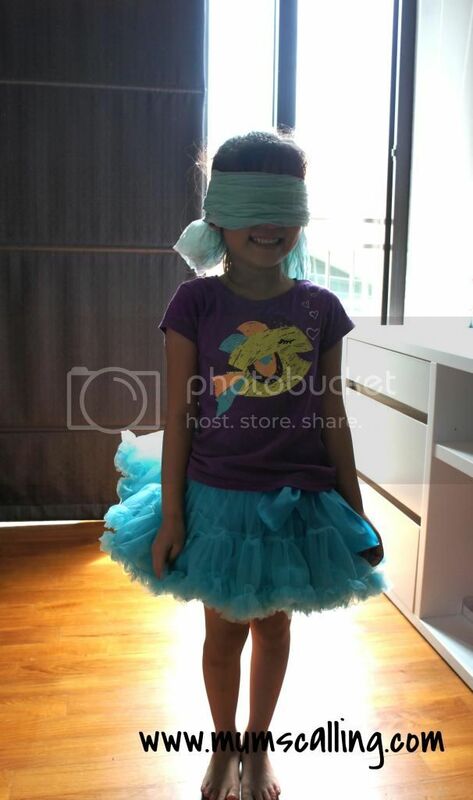 It's all about having crazy fun posing in an indoor studio setting, with a DSLR tripod-ed camera. You pick some interesting props, pose and self click with a remote! Nope, definitely not as challenging as selfie-ing with our phone. It was surprising that the kids had more fun than us. They were very much occupied with choosing the props they had like to picture with. This gave them good enthusiasm to taking pictures. Woah! Irene from Cloud productions had extended an invite for us to try out this interesting concept. We were initially skeptical about all the hard work of self pose, self click and even self edit photos, but we decided to give it a try, because I would do anything (without threats or risks), for nice family photos. Which we did capture and bring home some great pictures for keepsake. Tell me the pics look great!?? This is the easiest. Just we two! Can't squeeze Daddy into frame, oops! Little drinkers. That boy is a sure a drunkard! Irene had kindly edited some of the photos for us, while for others, I cropped to make the photos look more centralized. Photo editing is available at an additional cost of $10 per photo. Just let them know if you need it. If not, most are good as it is, all you need is a good crop. Irene had been very helpful throughout our session, at a point of time, she even gave us ideas on how to pose. No fret, with the props, it seemed almost natural that anyone knows how to position for great captures. 1. Bring your own props. Something the kids love. 2. We kept losing focus of the center. It was a good idea to have chairs or objects to mark the center. 3. Bring something to bribe the kids. I brought lollipops! 4. Choose a background according to your outfits, or maybe the other way round (They have green, grey, yellow and white background). Unlimited shots in 30 minutes! This was pictured from my phone. This pop-up studio is not here to last, it's only available up till 24th Aug 2014! Don't hesitate too long. For being a reader of Mum's Calling, a discounted deal is extended to you. Just present the following coupon upon appointment. Screen shot, get it pictured in your phone or you may show this blog post! For 30 minutes, we took about 60 shots, you could be clicking more than us! Out of these, we had a handful of decent ones for keepsake. Definitely a good price for great value. Email to book your fun slot soon! Cloud productions also specializes in portraits, products, workshops and events. You may consider their team of professional photographers for any events or business products you have in mind. Update: I just saw another deal on Groupon. 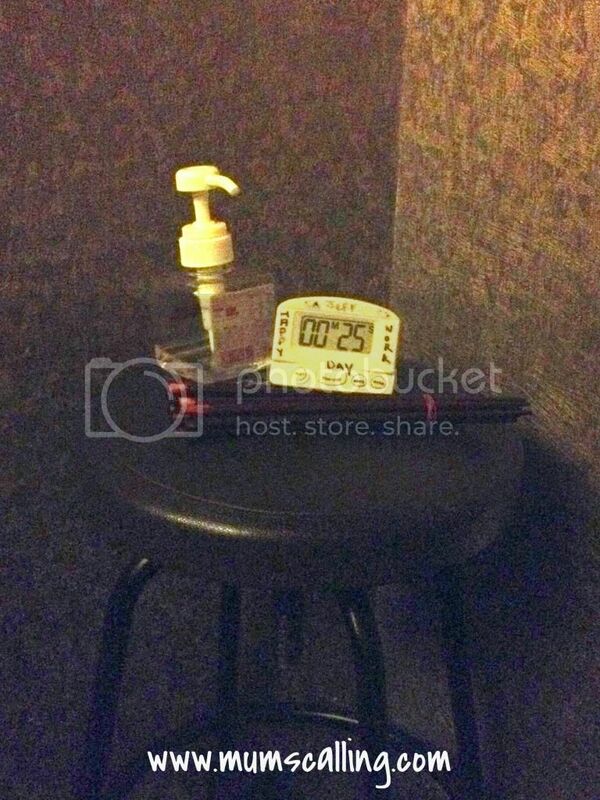 It's $16 per 30 minutes session on weekday (Mon to Thur), valid up to 4 pax. If you can afford a weekday schedule, with 4 pax, groupon has the better deal. 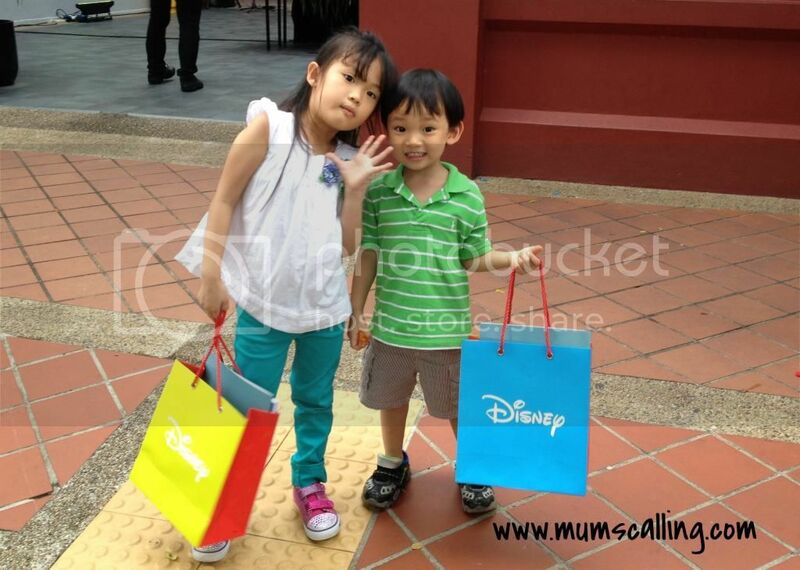 Coupon on Mum's Calling blog is available throughout the days of the week, with free add-on pax (Max of 7). Do purchase the best deal according to your schedule! Disclaimer: This is a sponsored post. We were given an opportunity to review a session of pop-up selfie studio, all opinions and photos are solely our own. No monetary compensation is involved. How likable and unlikable do you, parents think we are to our kids? Not talking about liking us as a person, but the likes and dislikes of certain acts we do as a parent. Sometimes, by getting them down to thinking, writing and drawing, we could probably get some well thought replies. Good keepsakes too! I did a mini parental evaluation with the kids. I was really curious how we were viewed in their eyes. 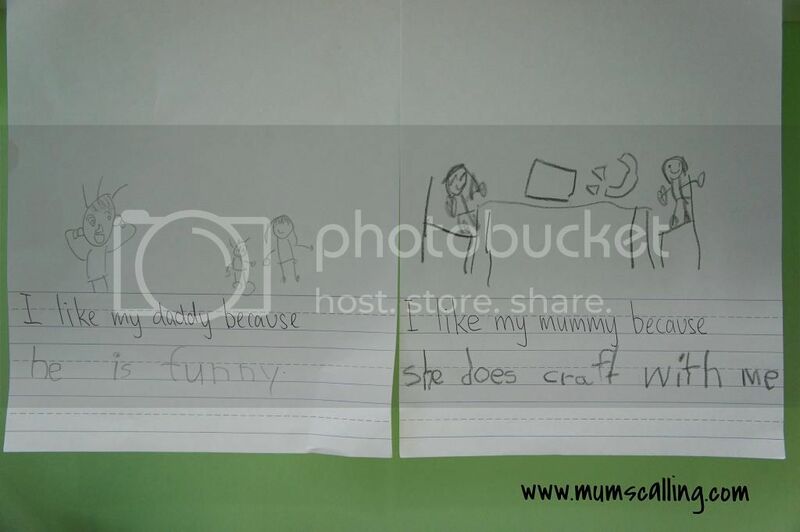 I got Jazz to write and draw some things she likes and don't like about her Daddy and Mummy. Yes, we were ready for some unfavourably truth as well. I've to admit, I held my breathe for a moment, while she responded about what she didn't like about me. Then I thought, yelling! Hmm, at least it irritated her enough, to give attention on my words. I'll tone it down nonetheless. And it's really rare that Daddy uses the stick, but I guess it's memorable enough to get it listed. And for Jare, I did a verbal evaluation with him. "Jare, tell me 1 thing you like about Daddy and Mummy?" "And what is the 1 thing you don't like about Daddy and Mummy?" I gathered some really random replies from him. Interesting. 1 is affirmation, 2 is double confirm, Daddy! 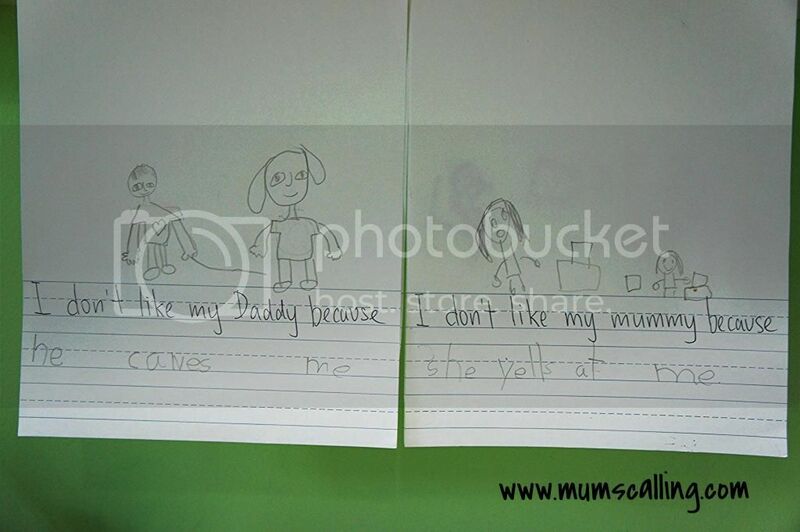 Notice something about her drawing on "I don't like my Daddy ...?" There's a heart on Daddy's shirt. I interpret that she knows, it's always out of love that she's reprimanded. And yeap, we did some drawing lessons, which explained her attempt from drawing lined arms and legs to the more fleshy ones. Nice try. Little voice from them can make up or make down their childhood, it's sad to disregard it. That 'dislike' could be really disturbing to them and that 'like' could be what they treasure dearly. I'm feeling relieved that it's easier for me to get crafty and wear a skirt, than being funny and growing mustache. Go Daddy go! 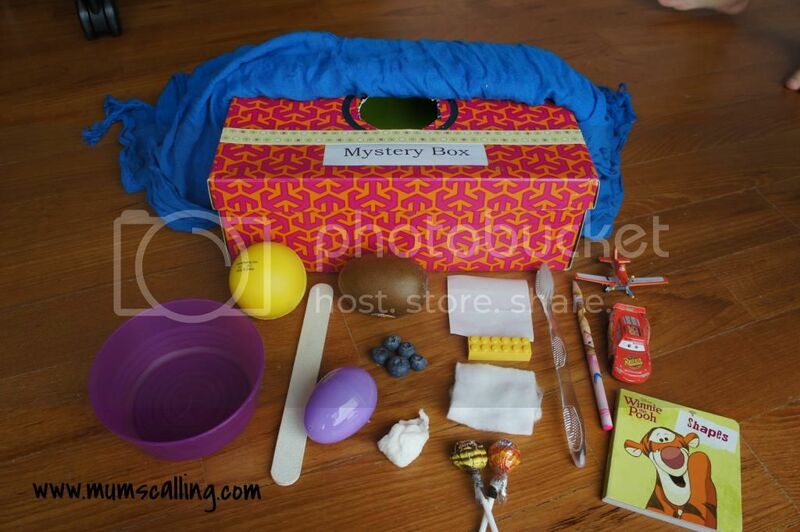 We played dangerously with a sensory, mystery box! Ok, not that dangerous, just a little of fear and fun factors by challenging our sense of touch. It could be moving, prickly or thorny! As the name sounds, I put some unknown items into a shoe box, with a cut-out hole on the lid. Just nice for little hands to get in and out. 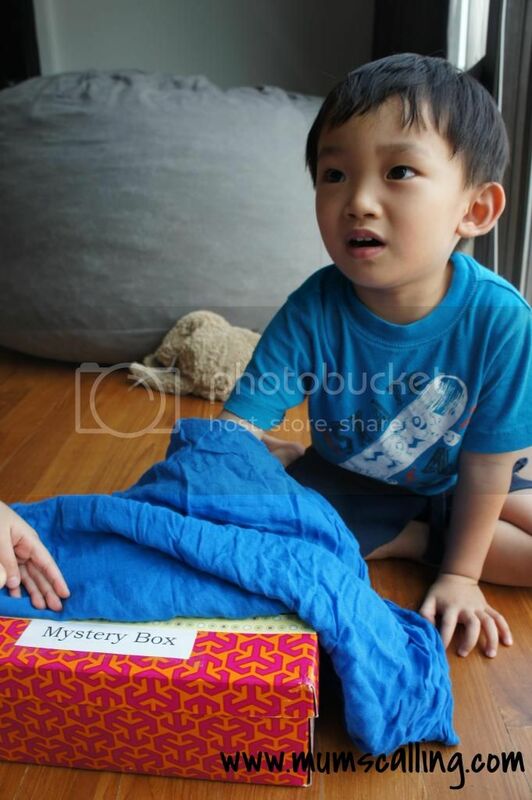 Gathered some objects of different feel in the home, and had Js to use their fingers to describe their feel to me. After which, they made a guess on the object. It really was a good test on how they used their choice of words to form sentences, while using their sense of touch. I thought the guess would be challenging, but they got most of them right! Easily. I enjoyed their varying expressions as they touched the different objects. The only adverse reaction I had from them was when they touched a piece of soaked up tissue. They probably didn't expect such a wetty feel. It was an interesting expression. At our final round, I threw in a very special treat, lollipops! They were thrilled that they not only guessed it right, they get to savour it too! A very fun game for kids! After which they tested me, and I realised it was pretty easy to guess the items we have sitting around our home. Glad they had fun, as much as I did. Remember to capture their expressions, if you play in the more adventurous manner.